Do you use sticky notes to help students learn or to organize your studies? Would you be interested in a list of free sticky note tolls for teachers and students? There are a lot of ways that you can use sticky note tools for both teaching your students and learning. I hope that you will find the following list useful. 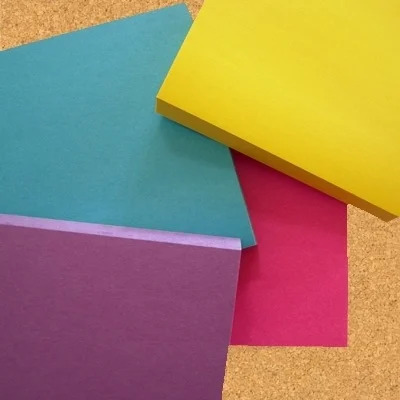 If you know a free sticky note tool that is not included in this list please leave a comment and I will added at the top of the list. Remember and share what's important to you. Collaborate with others on a single Corkboard. Post and access on your computer or on-the-go. Organize your postings into Corkboards. Share what you post on your Facebook wall and get notified of new comments on your postings. Free sticky notes reminders for your desktop. A simple, easy-to-use sticky notes software for Windows. Sticky and Photo sharing for you. A free sticky and canvas service that requires nothing but a Web browser. Online sticky notes. Take notes from your browser. Share and collaborate with others in real-time. Reach your notes from anywhere. Super fast, free and ridiculously easy. Padlet gives you a blank page (a wall) and you put anything you want on it, anywhere. Perhaps the easiest site for children to use. Pose questions, get their answers, and give them feedback - all on the same page. Scrumblr is a web-based simulation of a physical agile sprint board that supports real-time collaboration. Spaaze (pronounced "space") offers it's users so called boards. Each board is an infinite space which resembles a virtual cork. On these boards, items can be put. Currently Spaaze offers 7 different items: Labels, Notes, Bookmarks, Images, Files, Videos and HTML. These items can be edited in place, moved via drag and drop and positioned freely on the board. Therefore it's possible to arrange a bunch of items any way you like, which makes it possible to use it for many different use cases. With Stickr you can create streams, subscribe to your friends’ feeds, form and join groups, follow people you like, leave private comments. Stickr feed can be embedded to your homepage or blog, your account can be associated with accounts on other social networking sites. Stixy helps users organize their world on flexible, shareable Web-based bulletin boards called Stixyboards. Unlike most personal productivity or project management software, Stixy doesn’t dictate how users should organize their information. Users can create tasks, appointments, files, photos, notes, and bookmarks on their Stixyboards, organized in whatever way makes sense to them.